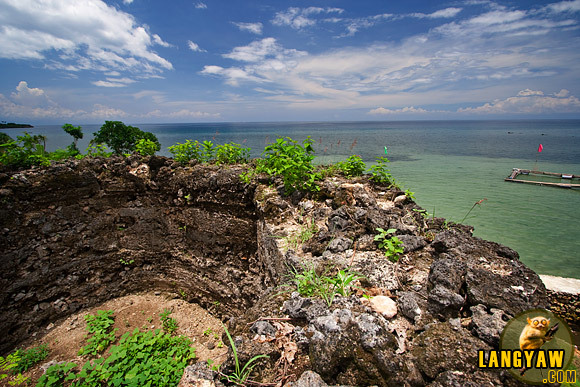 A baluarte or watchtower guarding the coast of Santander overlooking Negros. A trip down southeastern Cebu is a trip into a history of blood, predation and the Cebuano’s attempt to defend themselves at the onslaught of Muslim slave raiders during the middle of the 17th to the middle of the 19th centuries. 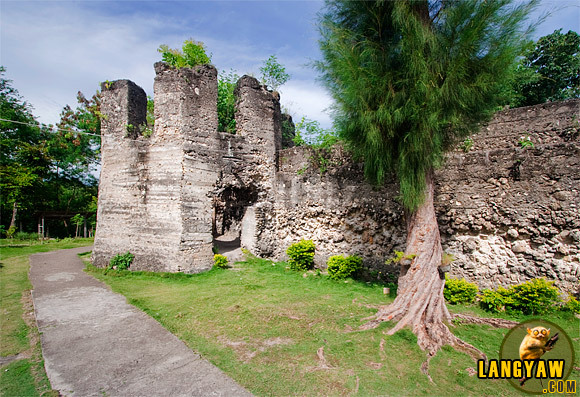 The spectacular Spanish colonial era churches of Argao and Boljoon reminds the visitor that these were once fortress-churches, edifices that were fenced with thick and high walls that protected the community from these marauders. 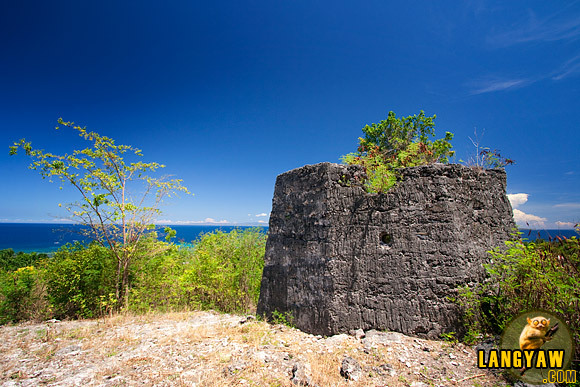 it’s only in Cebu where the most number of existing baluartes in the country can be found However, it is a little known fact that complementing these fortress-churches was a network of baluartes, watchtowers, that can still be found along the coast of this island province. Still unrealized is the fact that it’s only in Cebu where the most number of existing baluartes in the country can be found. Structures that looked out at sea and at the sight of the raiders’ prahus alerted the townspeople. In the case of southeastern Cebu, Fray Julian Bermejo, parish priest of Boljoon in the ealry 19th century, constructed a chain of these defensive network that stretched from Carcar to Santander that “telegraphed” through smokes the impending attack. Within minutes, the church bells in this stretch rang out to call on the people to prepare and seek refuge. So effective was this system that in 1815, the townspeople of Oslob were able to repel one such attack and was peaceful ever since. These prompted them to relocate the town to it’s present site from their fortified settlement in Daanglungsod which are now in ruins but still breathtaking. In the north and southwestern part of the island, there are still remnants of these baluartes but are few and far between. However, in the aptly named Bantayan Is. 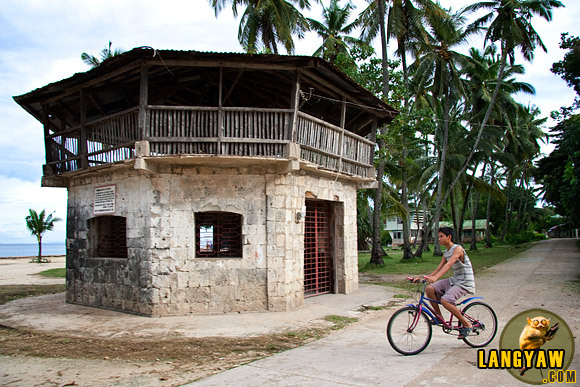 (bantayan in Cebuano means “lookout area”), there are still two existing fortresses. One in Madridejos which they have converted into a park. The other in Sta. Fe has again fell to ruin and is overun with vegetation, thanks to the neglect of it’s current mayor. 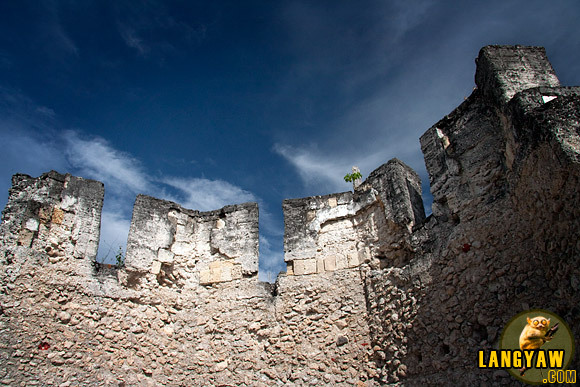 In the main town of Bantayan, only a few meters of the surrounding walls of the fortress-church complex remains. 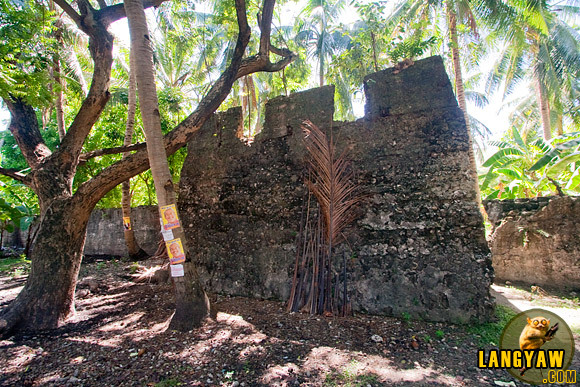 It’s extensive watchtowers circling the island are also gone, I was told, were demolished or destroyed by the elements. In the surrounding islets, there is only one left, in Doong. Octagonal watchtower infront of the Dalaguete Church. It was used previously as a store. The status of these structures is disheartening. 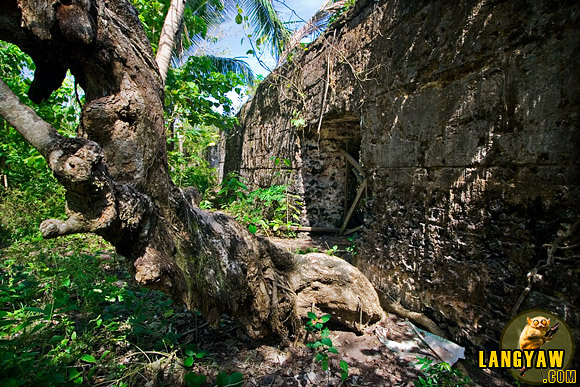 Except those found in Madridejos and Fort San Pedro, the rest are in a precarious state of deterioration. Most are in ruins, neglected and left to weather away. 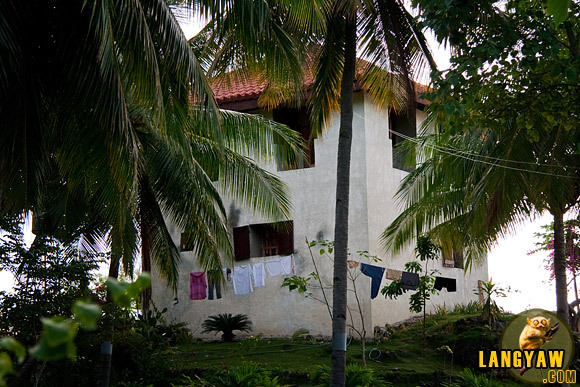 Two which are inside a foreigner (married to a Pinay) owned resort and a lot were refurbished and converted into private cabins and many have been made into trash dumps. And no one is doing anything about the preservation of these structures. Give it a few years and this rich cultural heritage, one of Cebu’s unheralded icons of the past will be lost forever. My grandmother is from Oslob, hopefully i can visit her birthplace. Nice work as always. i will be going to cebu next month but it is going to be work-related trip. i hope i cud squeeze a day or two to travel the province. It is really disheartening. 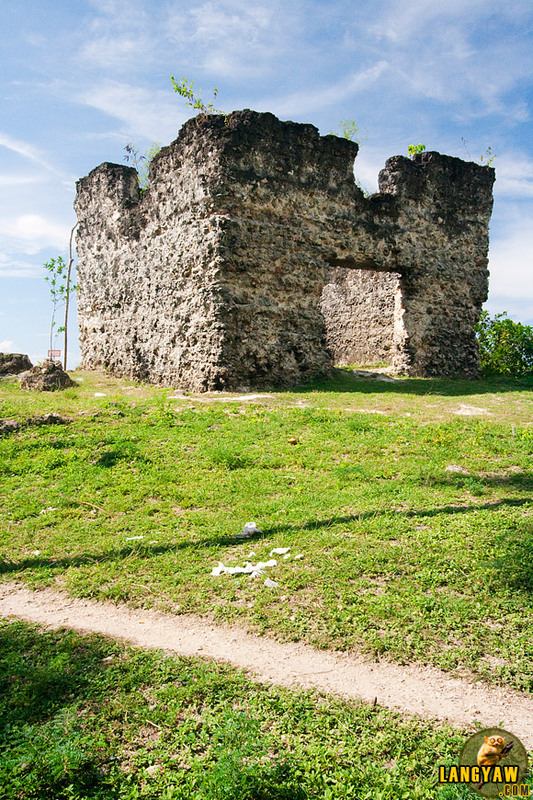 I have been to places here in Cebu and I am seeing deterioration of Cebu’s heritage. Hope we can still salvage these. Too bad these heritage treasures are just left to rot. They’re great reminders of Cebu’s past.